After you arrive at Bhubaneshwar, get an assisted transfer to the pre-booked hotel. 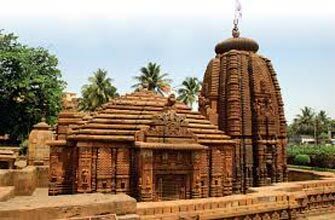 In the afternoon, leave for sightseeing where you will cover Parasurama temple, erected in 650 A.D, Lingraj temple, built during the 11th century, Dhauli, a 3rd century temple complex. All these temples are architectural marvels. Stay overnight at the hotel. After breakfast, get transferred to Puri, an important religious site. On arrival, check- in at the hotel. Spend your afternoon by the beach. The evening is free. Stay overnight at the hotel. 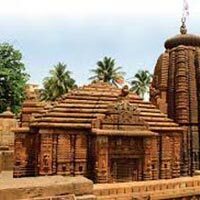 Day 4 is booked to visit the well-known Jagannath Puri temple. Also cover, the 150 Mathas around along with Loknath temple. Stay overnight in Puri. After breakfast, return back to Bhubaneshwar. On the way, visit the extremely popular Sun Temple at Konark. Once you arrive at Bhubaneshwar, check-in at the hotel for an overnight stay. Get transferred to the airport or the railway station to catch a flight or train for onward destination.